Ford (of Britain) launched the “E1A Fordson Major” tractor in 1952 with a new overhead valve 4 cylinder 220 cubic inch diesel engine. The engine was known as the “4D”. Shortly afterwards the “4D” was made available for fitting into the “Thames ET6/7” range of lorries (up to 5 tons payload) there was also a petrol version of the engine of approx. 200 cubic inches. 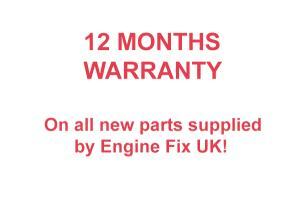 Engine Fix UK can supply a broad range of Ford industrial engine parts for vehicles of all ages. Email us your requirements for our best price, or give us a call. We have many popular items on our eBay store, but if you can't find what you're looking for drop us a line. The competition however offered a truck with a 7 tons payload, so Ford needed a new model of lorry to compete. The new truck was known as the “Thames Trader” and was launched in May 1957 with the option of a “4D” or a new “6D” engine depending on payload, the lorry was manufactured at the Ford Dagenham plant in Essex. The 6D option was simply a 6 cylinder version of the existing 4D and therefore had an engine capacity of 330 cubic inches. A petrol version was also available with 300 cubic inches. The Thames Trader and Industrial engines were produced until 1965 whilst the Fordson Major ceased production in 1964. Launch of a MK2 engine in 1957 with high crown pistons and a thicker cylinder head gasket. The sealing of the cylinder liners moved to two O rings in 1961. One at the top and one at the bottom, instead of the previous design of used one O ring at the bottom. The use of a Simms Minimec mechanical governed fuel pump instead of a vacuum governed Simms pumps in 1962. 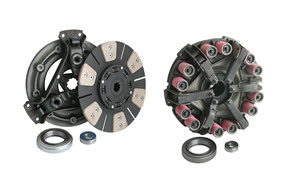 We supply a large range of parts for Ford 4D and 6D engines found in Thames Trader trucks. Choose 'ENGINE FIX RANGE' from the menu above, send us you requirements and we'll get back to you with our best price asap. Alternatively, check our eBay store for parts. If you can't find what you're looking for there, just drop us an enquiry via our contact, or give us a call. There were effectively three applications for the 4D engine : Agricultural/Automotive/Industrial. The agricultural engine had a lower rated speed of 1800 rpm versus the automotive version which was 2400 rpm. The Industrial engine has slight differences like a decompressor to enable starting with a handle. The 6D engine only had two major applications Automotive and Industrial, although a limited number of 6D engines were used in Agriculture by companies like County and Roadless in 6 cylinder 4 wheel drive Fordson Majors. Other limited applications included combine harvesters but these were basically industrial engines being used for agriculture. Ford Dagenham never really developed an agricultural version of this engine and never built a 6 cylinder Fordson major although many were later converted. In April 1965 Ford launched the “D-Series” lorry to replace the Thames Trader, these lorries were fitted with a whole range of new engines. The truck was launched in competition with the Bedford TK produced by General Motors in Dunstable. Initially the range covered rigid trucks with gross weights of 5 to 13 tons, and tippers from 11 tons to 13 tons. Later developments featuring twin rear axles and articulated models enabled higher gross weights to be introduced. The claimed power range was between 83bhp and 128bhp. Additionally in 1968 a turbocharged 6 cylinder 360T was launched. As on the Bedford TK the cab was positioned above the engine, engine access being achieved by tilting the entire cab forward. The engines were installed at 45 degrees from the vertical. April 1967 saw the range expanded upwards with the arrival of the Phase II D1000 series, designed for operation up to 28 tons gross, the D1000s were powered by Cummins produced V8 diesel engine with 7.7 litres displacement. Engine Fix UK can provide engine parts for Ford D Series trucks for whether it's for spare parts, servicing or rebuild projects. For Australasia the Ford N series truck was offered powered by Cummins and Caterpillar engine units. 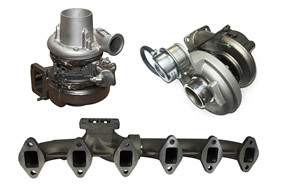 Looking for Ford Cargo engine parts? 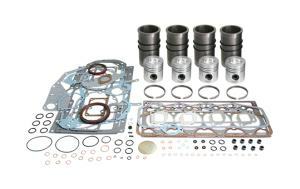 We have everything from pistons to pumps, gasket sets and more. Just send us some details and we'll get back to you with a price asap. Ford themselves never produced a marine version of their engines, however many of their industrial engines were marinised by third party companies including Mermaid, Sabre, Lehman including the 2710 and 2720 range of engines. 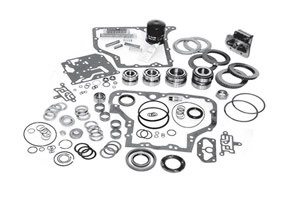 Here at Engine Fix UK we cover the vast majority of the Thames Trader, Ford D series and Ford Cargo range, we supply all the major mechanical engine parts including pistons, piston rings, liners, gaskets, crank seals, gasket sets, valve train parts, water, oil and fuel pumps plus much more.